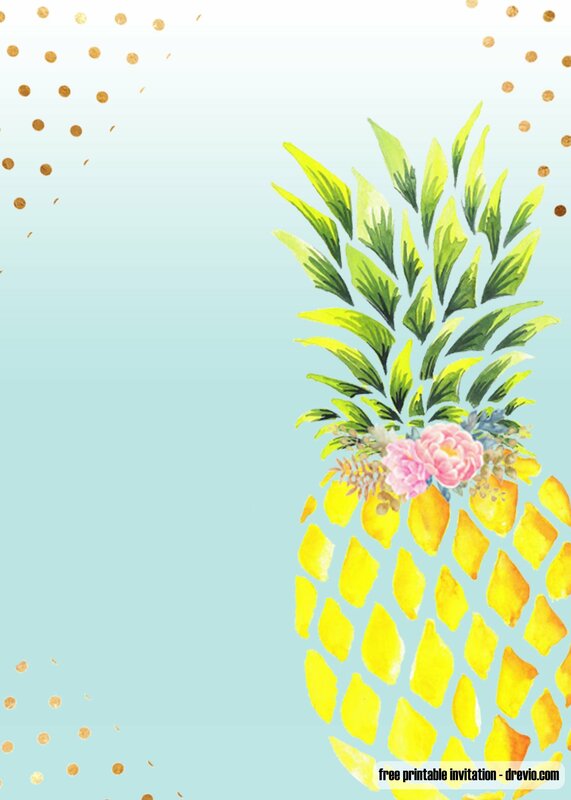 When it’s summer time, celebrating your next birthday with Hawaiian party theme is perfect idea! 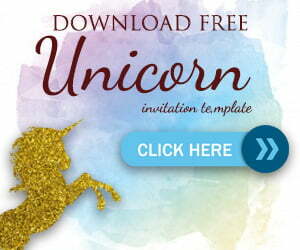 There are so many options where you can get your theme party. 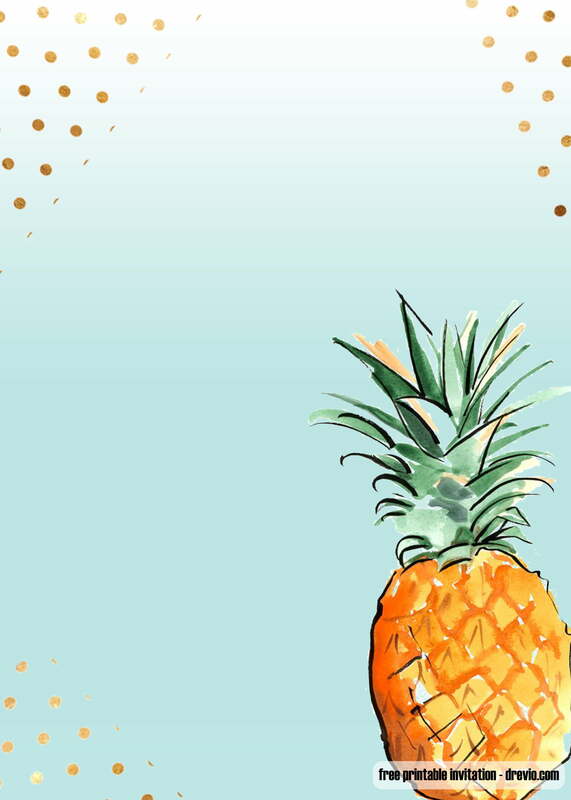 You can browse our Pinterest @drevio, or you can directly choose our free printable Aloha Pineapple birthday invitation template. 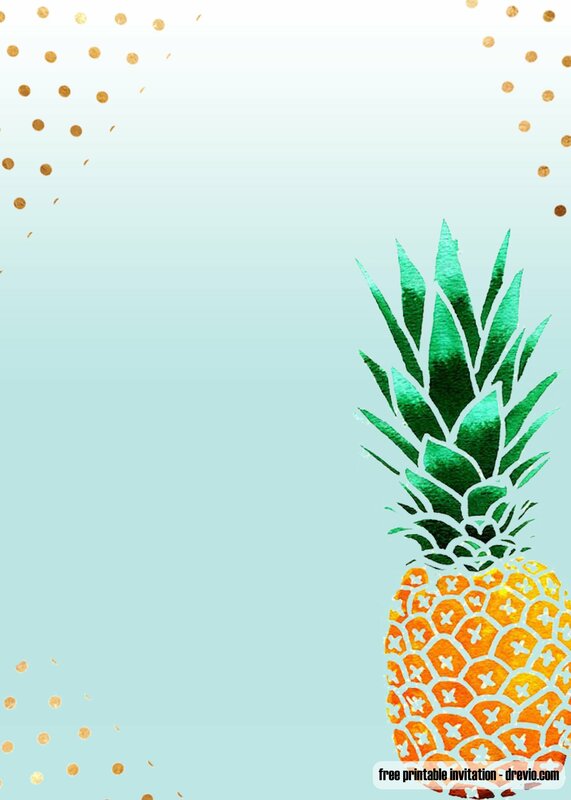 A Hawaiian birthday invitation theme, which is free for your personal use. 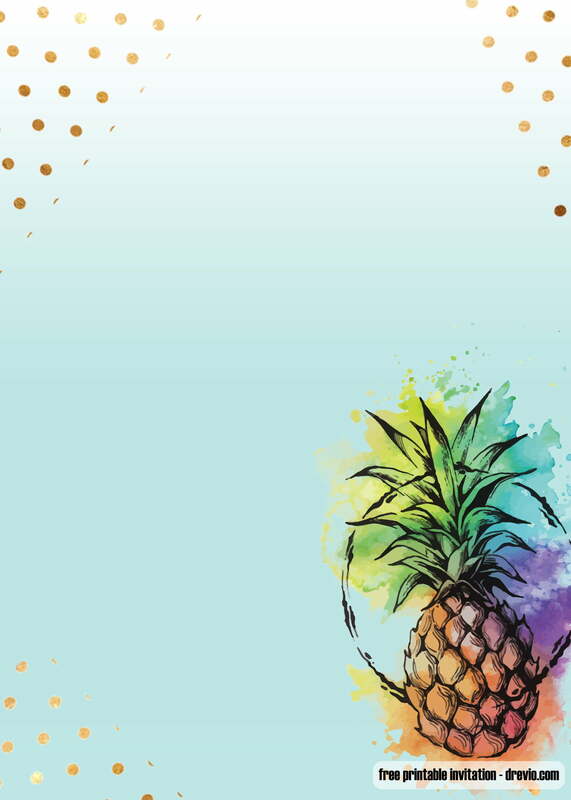 Comes in vintage, water-colored pineapple style, I’m sure that you will love these invitations. REMEMBER : It’s FREE For your PERSONAL USE only. 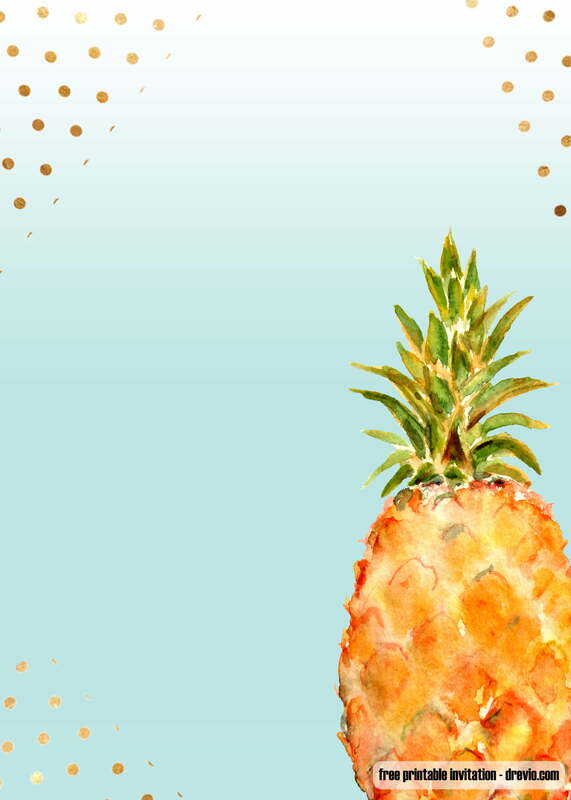 Comes in portrait mode, we design a simple, but high quality Aloha Pineapple birthday invitation templates. Yep, we are using vintage water-colored invitation. So, if you want to use this invitation, you can easily download the invitation , then write down your birthday party details with a pen or a marker. But! If you are able to operate Photoshop or other image processing software, you can use Malisia font to write down your party details and make it stunning!Or you can easily edit the invitation by using Drevio Canvas where you can edit it online. Browse the Gallery, and click the invitation first to get full image size.